Postcard. Abraham Lincoln Memorial. 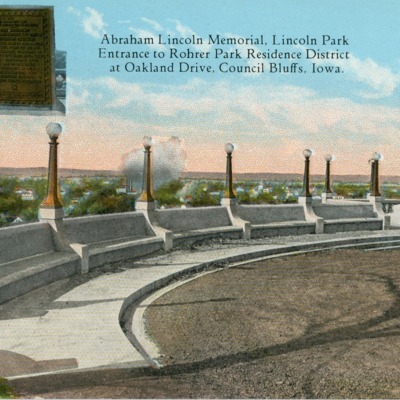 Lincoln Park Entrance to Rohrer Park Residence District at Oakland Drive, Council Bluffs, Iowa. 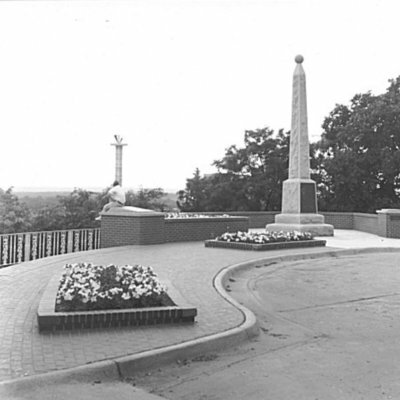 Photograph of the Lincoln Monument, Council Blufs, IA after renovation, July 1966. Historic sites -- Iowa -- Council Bluffs. Memorials -- Iowa -- Council Bluffs. 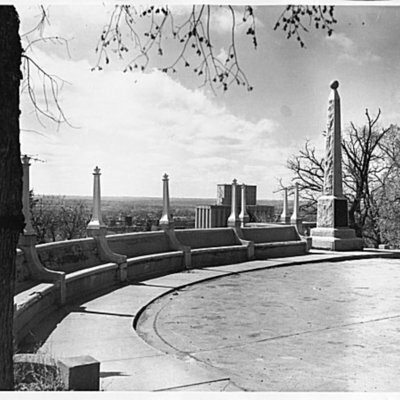 Monuments -- Iowa -- Council Bluffs.